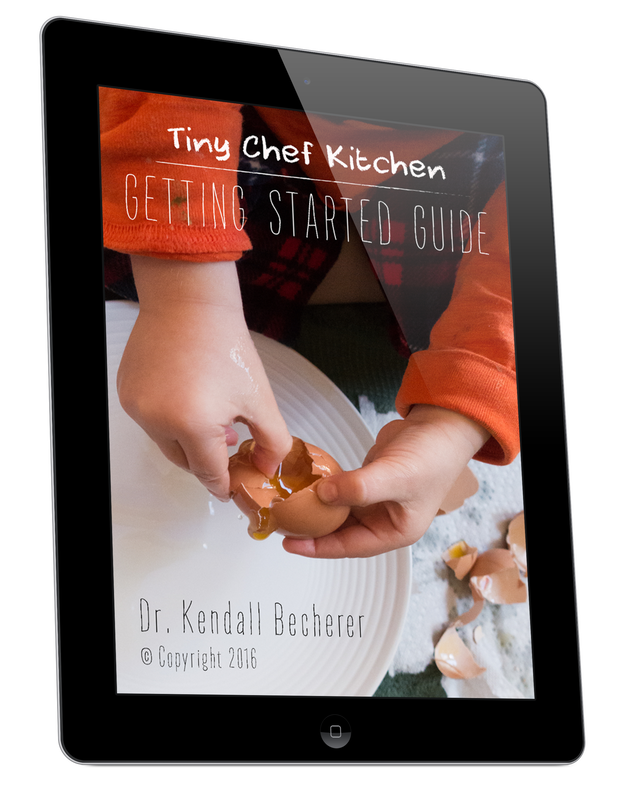 Tiny Chef Kitchen currently offers 3 books for sale. where & how to work together? when & why you want to do this kind of work? ​It's intended to be read by the adult who will be helping kids in the kitchen, not to be read with or by children. It's available as both an ebook and printed book. Click here for more info and purchase details. This is a book for kids, something they can pick out from their book shelf and flip through on their own, or sit down with an adult and talk about the content of the photos. It's very photo-centric, containing lots of pictures of kids preparing food. Each page spread has just a few large, simple words that beginning readers may enjoy learning to read. Click here for more info and purchase details. This book is more complex than the Activities book. 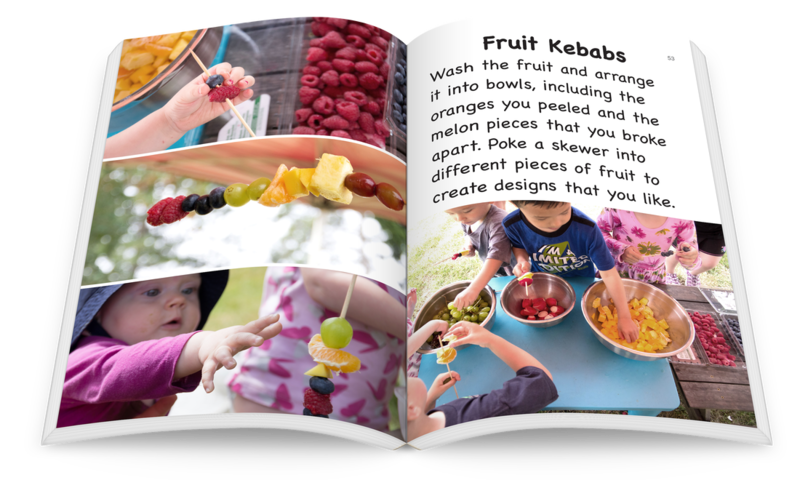 It starts out with a few pages for adults explaining the author's inspiration and the book's organization, followed by 25 simple recipes that can be created with cooperation between adults and kids. Each page spread shows simplified words for the recipes, and then the complete recipes (with measurements) are listed at the end of the book. Don't be surprised when you see a few "recipes" with just a single ingredient; the recipes start very simple and progress in difficulty (appropriate for the ability level of young children). At the end of the book you'll find an explanation of how to alter the recipes to fit certain dietary needs, such as vegan and gluten-free. The recipe section of this book was written to be read by and adult with the child who will be helping in the kitchen. Click here for more info and purchase details.